In 2014 Philip Buys thrilled South African audiences buy winning two stages of the Absa Cape Epic with the then Cross Country World Champion Nino Schurter. On the final stage the South African/Swiss combination worked to help their Scott Factory Racing teammates Matthys Beukes and Gert Heyns take the much sought-after win of the Grand Finale. 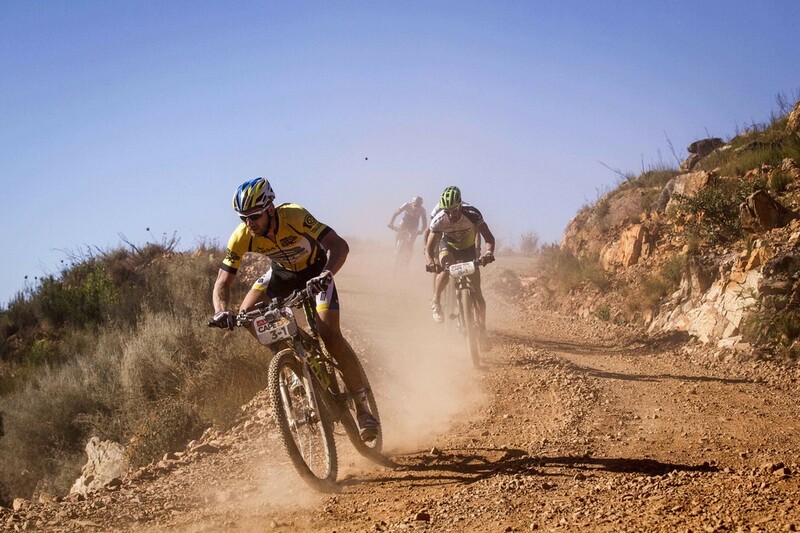 The 2015 edition takes place from 15 to 22 March, and will once again take 1 200 riders through some of the Western Cape’s most unspoilt territory. The Untamed African stage race starts with a prologue on Table Mountain, starting from the University of Cape Town, and finish eight days later at Meerendal Wine Estate in Durbanville. Beukes added: “We (Scott) have been the top South African team over the last two years and we realise it’s time we set our sights on the overall. We’ve been training like we are going for the win, but come race day we know we perform better when we focus on ourselves and just enjoy the race. Philip and I race really well together as a team, we both come from a cross country background so we are both technically proficient riders, which is very important in the Absa Cape Epic. This means that we ride smoothly over the rough stuff, which cuts down the risk of mechanicals dramatically,” he added. Buys is the reigning African cross country champion while Beukes was the South African champion in the same discipline in 2010. Buys said they had not been training together much recently “but we have raced a lot of stage races together in the past – we know each other well and form a good combination on the bike”. He predicted that the Team RECM pairing of Erik Kleinhans and Nico Bell would be challengers for the African jersey, “but our main focus will be to get an overall podium finish”. Meerendal Wine Estate will host the finish of the race and the Grand Finale celebrations for the very first time on 22 March 2015. The Grand Finale will kick off with live entertainment, a Farmer’s Market, delectable food and wine as well as glorious scenery. Dedicated vantage points will be accessible to the general public, so that all may have a piece of the mountain biking action.